Today is Document Freedom Day (DFD) 2018, an annual event to celebrate and raise awareness about Open Standards scheduled on the last Wednesday of March. Document Freedom Day was first celebrated on 26 March 2008. Since 2016, Document Freedom Day is organised by a team of volunteers of the Digital Freedom Foundation. It was previously organised by the Free Software Foundation Europe. Document Freedom Day is a campaign about open standards and document formats, aimed at non-technical people. Open Standards ensure document interoperability, a pre-condition for knowledge sharing amongst individuals. Document freedom addresses much more than just texts and spreadsheets, as it is about the control of any kind of digital data, which should be stored in open and standard ways to empower knowledge sharing by users. On the contrary, most digital data is normally stored in proprietary and closed formats, which constrain and manipulate users at enormous cost. In fact, documents that are not free are locked to some particular software or company. Often, even their original author is not able to access their contents, as they are controlled by artificial technical restrictions. Open Standards are essential for interoperability and freedom of choice, based on the merits of software applications. They provide freedom from data lock-in and the subsequent vendor lock-in. This makes Open Standards essential for governments, companies, organisations and individual users of information technology. Let’s celebrate Document Freedom Day 2018 to make Open Standards a reality. Open Document Standard (ODF), the native document format of LibreOffice and many more software applications, is the only Open Standard available in the domain of personal productivity for organizations and individuals. 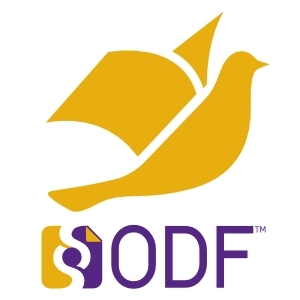 Every LibreOffice users should advocate, support and use ODF.